Your wedding day will be one of the most memorable days of your life that will always be alive in pictures and memories. Perfect wedding Ibiza: the perfect backdrop for your day of love; the island breeze warms your heart and the blue tranquil waters ignite it with love. The blue heaven on earth will serve as the perfect stepping stone to a new life of togetherness and love. We at Ibiza for Wedding facilitate weddings in Ibiza. With 10 years of experience in arranging weddings and choosing the best locations between Italy and Spain, we bring your dream wedding to life. We are connoisseurs of memorable experiences. No two weddings are alike; we craft your wedding around your special requirements. Luxury or inexpensive, rustic chic or beach style, vintage bohemian or other wedding themes, our wedding planners will take care of it all. We at Ibiza for Wedding work tenaciously to give you the wedding of your dreams. 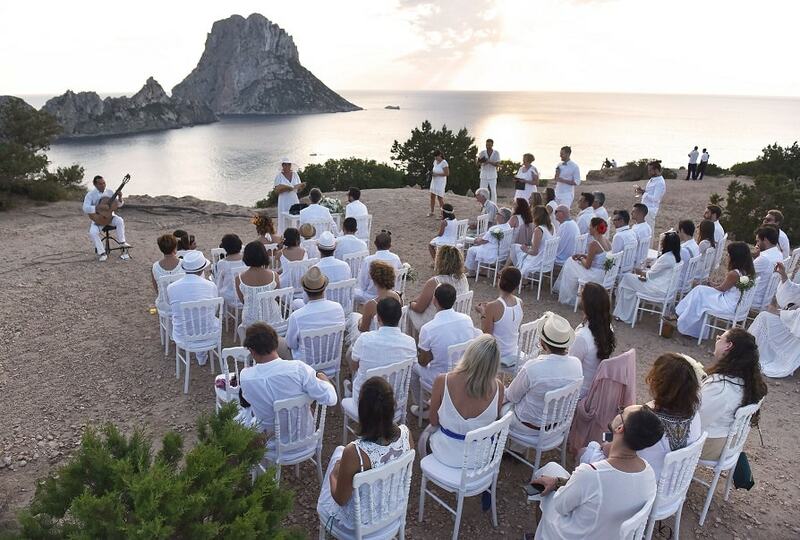 Weddings in Ibiza are a beautiful affair. The oceanfront promises a romantic set up and the lush tropical floral, the perfect decoration for an ideal wedding. We work with dedication and passion to make your big day a grand experience. Ibiza is a picture perfect wedding destination that will make your special day even more special with its magnificent beauty.Let us fuss over the little, big details of planning a wedding. We will take care of all your wishes and requirements and design a beautiful wedding for you and your partner. Please have a look to our wedding venues in Ibiza.